Holy Stone HS300 Review // $200 Drone With Decent Camera and .. Most people tend to start off with a drone costing between $100 and $200. 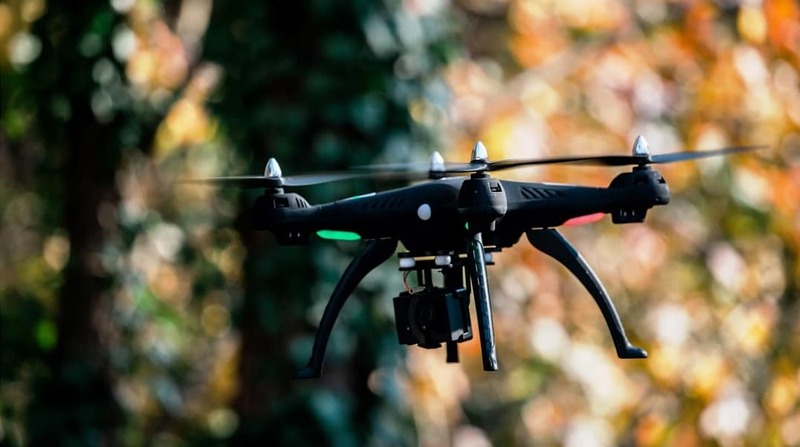 Even though I am strongly against it and recommend starting out with a much cheaper model, the statistics are pointing in that way… But then I thought to myself – if you have already decided you want such an expensive drone, then I might as well show you one of the best ones. And that’s basically the birth of Holy Stone HS300 review! So, in the following paragraphs, I plan on telling you everything there is to know about this beauty. I’ve spent around a week testing it. More precisely, I’ve had around 3-4 hours of flight time which was more than enough to come to a proper conclusion about this little fella. But, before jumping straight to HS300, first let’s talk about the company behind it – Holy Stone. Holy Stone is actually a relatively small company which was founded back in 2014. In addition to drones, Holy Stone also deals with RC cars (or should I say, RC car, since they only have 1 model available) which completes their array of RC toys. Since they’re mostly working with drones, it is not a surprising sight to see so many models available. Truth be told, not all are as popular as HS170 (AKA Predator) and HS300, the one we’re going to focus on today. These 2 drones alone have been a big reason for Holy Stone’s recent trail of success, allowing them to build further up the food chain. But, what’s so special about the former model? Why am I praising it so much without showing you some cold hard facts? Well, that’s exactly what I’m about to start doing! 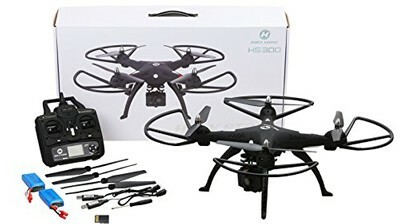 Just like I said above, if you’re a beginner and want to spend a lot of money (yes, $200 is a lot of money for a beginner to spend) on a drone, you should not agree to any compromises and get the best one available. Without a doubt, a good contender for that title is HS300 by Holy Stone. 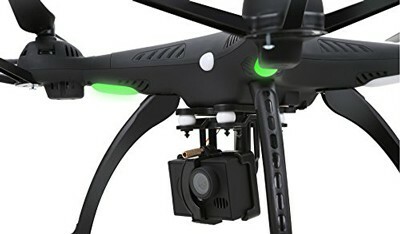 This bulky drone comes with solid specifications, great camera and excellent build quality, making it an awesome choice for first time flyers. Even more so for people interested in aerial photography due to its dedicated camera that records in 1080p. Needless to say, Holy Stone HS300 is a breeze to fly. With an intuitive controller and excellent preconfigured trims, you will learn the basics of flying in no time. After this introductory paragraph, I’m going to show you other, more precise information about this little fella. One thing to note before I start off with its specifications, though – Keep in mind that numbers such as range and airtime might vary from model to model due to unpredictable variables. With that said, they probably won’t vary too much, but the information is out in the open. So, with that noted, let’s jump straight to action and see what does Holy Stone HS300 have underneath that flashy body! Holy Stone HS300 is a bulky model with lots of weight going on. To be more precise, this birdie weighs in at around 1.4 pounds (roughly 635 grams) which is quite a lot for a drone in this price range. That is why it is not surprising to see a powerful 2S LiPo battery in charge of providing juice. We are talking about 7.4V 2S 2000mAh LiPo battery which is also bulky, but fits perfectly in the provided slot on HS300. In terms of airtime, the official specifications claim up to 15 minutes of hassle-free flight. However, realistically you are looking at 12-13 minutes, depending on various other factors. On the other hand, if you are planning on using the DVR function, your flight time will sink even lower to roughly 10 minutes. But, I’d still want you to know that 10 minutes isn’t half bad, especially considering the sheer quality of your aerial footage. When it comes to operating range, this is where Holy Stone HS300 doesn’t shine in its best light. You see, this birdie only supports up to 150 meters of responsive and lag-free range. By looking at its closest competitors, it is pretty clear that HS300 underperforms. Not by a lot, though… but it still does underperform. For most of you, 150 meters of flight range should be just enough. That’s goes for amateur aerial photographers as well, who set up their shots in close vicinity. However, even though 150m range is decent for amateur AP, I’d still like to see an upgrade that will allow at least double that. If this happens, Holy Stone HS300 will not only be a potent aerial photography drone but quite the explorer as well. Camera is where this birdie shines the most. Even though we are talking about a mediocre 5MP sensor, due to other interesting aspects (more about that below) it is capable of providing you with exceptional aerial footage time and time again. The biggest thing about HS300’s camera is actually its basic anti-vibration mount. It might look primitive and, quite frankly, silly at first… in reality it really helps a lot with image stability. It features 4 dampening balls and precise locking mechanism that locks into place and fixes the camera in a position where it won’t be affected by vibration and shakiness. 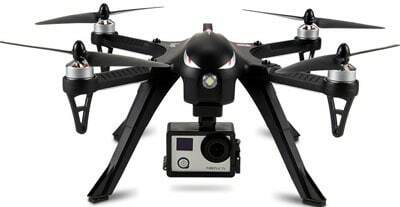 This allows for extraordinary aerial videos and images that are bound to amaze your friends and family. Lastly, you’ll also get a 4GB MicroSD card inside that will be used as the default storage device for your recordings. Features-wise, the first thing that needs to be addressed is GPS. Or, in other words – the lack of it. But, even though Holy Stone HS300 lacks GPS module, it still has access to “cheap” smart features. Of course, I am talking about one key return and altitude hold, both of which are a common occurrence in medium and high tier segments of drones’ market. Considering HS300’s smart features are not powered by GPS, they are not nearly as reliable and precise as their GPS-powered counterparts. Still, they are able to provide decent results meaning you shouldn’t experience any real issues with them. Lastly, HS300 also has access to headless mode too. Extra accessories are always an important factor when deciding which drone to go for. Luckily, when it comes to Holy Stone HS300, I am sure you will be more than satisfied. Why? Well, because you are getting a whole bunch of additional things that are bound to come in handy in times of need. Extra accessories that com within the original package include 4 extra propellers, landing gear, prop guards and even an extra battery that will double your flight time. As far as spare parts are concerned, Holy Stone offers good coverage for their HS300 model. That means, in addition to propellers, you can also order motors, propeller guards, landing gear and extra batteries. However, if there’s a problem with the stock (your desired spare parts are out of stock at the time of order), feel free to contact Holy Stone customer support which will resolve your problem in a quick fashion. The standard model of original Bebop by Parrot costs roughly the same as Holy Stone HS300. Come to think of it, it’s actually a bit cheaper. But, is it as good as Holy Stone’s giant? Well, if you are looking for a drone suitable for amateur photography, I’ll have to point you to Holy Stone. It has a superior camera that’s mounted on a basic anti-vibration mount which does wonders in terms of general image quality. Furthermore, their respective airtimes are pretty similar but I’d say HS300 has the edge in this department as well… Especially if you aren’t using DVR function a lot. Last but not least, HS300 also gets an extra point due to its superior in-flight stability, which is not that surprising considering it is much bulkier than the Parrot. When we compare the weights of these 2 drones (HS300 with its default cam and MJX Bugs 3 with a typical action cam such as GoPro Hero 4), we’ll come to the conclusion they’re roughly the same. Size-wise, however, is slightly pulled towards the HS300 which is just a bit bigger. But, in terms of specifications, MJX Bugs 3 leads the charge with almost double range (300m in comparison to only 150m of HS300) and slightly better airtime. 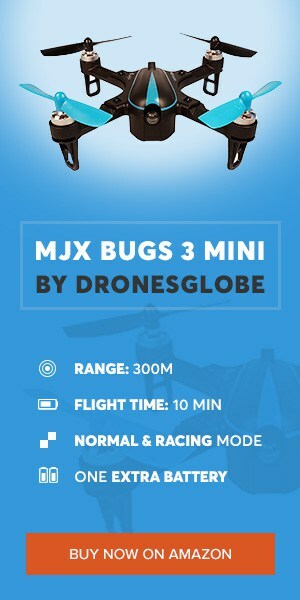 However, I must add that MJX Bugs 3 is a camera-less drone which means, if you don’t already own one, you will have to supply your own action camera if you want any kind of aerial photography action. Keep in mind that it cannot carry a lot of additional weight so you’ll have to do a bit of research before your purchase. As far as drones under $200 are concerned, Holy Stone HS300 might as well be the best one out of the bunch. Even more so if you’re pursuing a career in aerial photography. This little bugger is bound to deliver nothing but excellent image quality that can, with a little practice on your end, turn into quite the masterpiece. 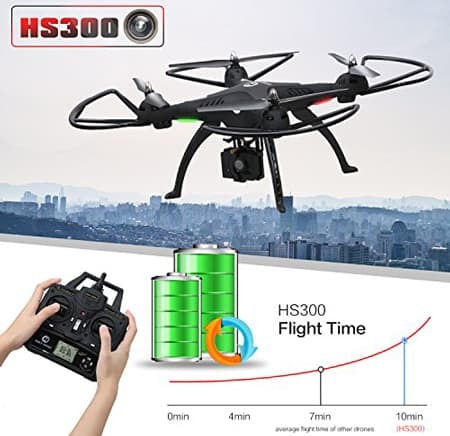 So, if we take all that into consideration, the final words are rather simple – Holy Stone HS300 is a drone worth looking into. It’s affordable, durable and best of all – it’s a ton of fun!